ReTweets can greatly extend our reach and bring tons of new visitors to our blogs. That’s why we love them so much. We also love them because it feels great when people support our way of thinking. This keeps us motivated and makes us work even harder. So the question is: How do you get more of them? Is there some kind of a system to writing tweets that get a lot of retweets? 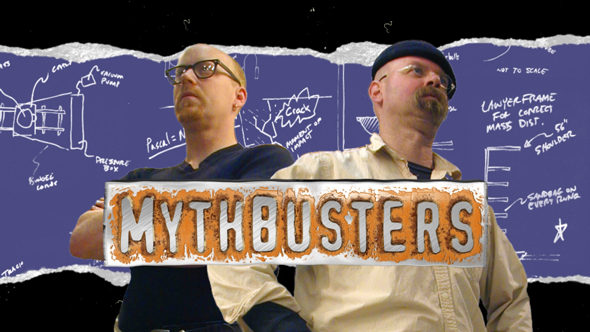 I love to bust popular marketing myths here at BloggerJet (maybe I should do a weekly show on YouTube someday). Let the Social Media mythbusting begin! …and further (much like the snow avalanche). Well guess what. This never happens. I took this graphic from an awesome research on the mechanics of virality on Twitter (Part 1; Part 2). And I suggest you read it too if you want some extra marketing knowledge. What I’ve realised from this research is that virality is a result of a big initial explosion (or better a few of them) that will set everything around on fire. However marketers try to persuade us that you just need to light a single match and the fire will spread from there on its own. “Explosion” is certainly a tweet from someone with an enormous following on Twitter; and a “match” is your own tweet. Thats why your chances to go viral are very-very weak. I mean of course you might get a few retweets here and there. But going viral?… very unlikely. You either need a few very influential friends to make that initial explosion for you, or just pay someone for it. This is why the subheading of this section is so rough. So let’s not focus on achieving that crazy viral success and just talk about “how to get more retweets”, ok? What Can Be Called A ReTweet? “ReTweet” is when someone copies your tweet to his own Twitter updates, while mentioning you as the original author of that tweet. If there’s no attribution to the original source of the tweet – it’s not a retweet. You see a tweet from Mark Zuckerberg with a link to his article. You read the article and decide to share it with your followers. So you go back to Twitter and retweet that tweet from Mark Zuckerberg, because you want your followers to see who originally shared it. You saw that tweet and checked the article. But after reading it you didn’t go back to Twitter and just tweeted that article via a tweet button that was there. Technically this is not a ReTweet, because there’s no attribution to Mark Zuckerberg in your tweet. But the content was still spread further, right? If you ask me, I don’t really care about attribution that much as long as people keep tweeting my content. And besides, there’s my name at the end of each article so people coming from Twitter will still see who’s the original author anyway. So this kind of tweet is just as important for me as a usual retweet. What if you didn’t see that tweet by Mark Zuckerberg, but your friend sent you the link to his article. You read it and tweeted it to your followers. Obviously, that is not even close to what the term “ReTweet” means. But hey, now your Twitter followers will see the article and have a chance to retweet it. So retweet action still happens. Again, if you ask me, I’m not solely interested in people re-tweeting me. I want to get all kinds of tweets. You want ReTweets: meaning you want your Twitter followers to retweet your tweets. You want people to share your content on Twitter: meaning you want EVERYONE who saw your article to tweet and retweet it. I believe you’re here for the latter. Your blog visitors, who see your article and have an option to tweet it to their own followers. But which group is more important? Go to your Google Analytics, open a random article from last year and see how many people have visited it since the day it was published. Now compare this number to the amount of your Twitter followers. I bet the difference will be tenfold! Of course all these “blog visitors” did not necessarily read your article, but at least they checked it’s headline. I mean… all these people!!! What about your Twitter followers? Only a fraction of them will notice the next tweet that you’re going to send. And even a smaller number will react to it (click your link or retweet). I usually like to refer to a study by Rand Fishkin, who found out that only 1.34% of his followers clicked the links in his tweets. Do you think your engagement rate would be any higher? I think we’ve just came to the conclusion that it’s far more beneficial to put your efforts into having your visitors tweet your content, other than having your Twitter followers at least notice it. And what about influencers? You know, those guys, who account for viral explosions. How many influential people do you have among your Twitter followers? Most of us don’t have any. Because it’s freaking hard to get someone influential to follow you on Twitter. But is there a chance that some influencer will stumble upon your article someday? Absolutely! So your job is to make sure he’ll want to tweet it to his enormous following. And you’re just one sentence away of learning how to do that. How To Make People ReTweet Your Articles? Most bloggers just play the game of chances. They hit the “Publish” button and hope for the best. Well, there are quite a few proven tactics that can make you a winner in this game and make your readers tweet more often. You just have to put some extra effort into your article and that’s it. If your content is lame, nothing will save you. So don’t blame me that my tips don’t work on your 300-word article about your cat acting weird today. It’s the post, it’s not the tips. But how do you know that your post deserves attention? Most bloggers will advice the following: fill it with unique ideas, breaking news, helpful tips, uncommon advice, etc. And here’s my advice: put as much work as you possibly can in every article you publish; research the topic well and do revisions till the article is perfect. Some of you already know that people tweet things they want to be associated with. The headline alone can actually do the job. If it’s catchy enough and the post seems worthy as you skim through it – many people will share it on Twitter without even reading it. And besides, the headline of your article is all people see on Twitter. If its catchy and engaging – you’ll get clicks and retweets. Otherwise you’re just losing your opportunity. I’m afraid I’m not going to teach you how to write catchy headlines. All because of this awesome FREE headline hacks report. No matter how good your article is, a lot of people will not tweet it if there’s no button on the page. Yes, they are that lazy. You have to make sure that once a person feels the urge to tweet your awesome content – the tweet button is always at his sight. See that nice box with social buttons floating to the left? Grab DiggDigg plugin for WordPress if you want to have the same one on your blog. You may also review this selection of advanced social plugins and ways to use them to get more shares. Pro bloggers have figured this tactic long ago and it seems like they were very reluctant to share it with the rest. So what is a “tweetable quote”? Tweetable quote is a short catchy message that you plant within the content of your article. And it has a “tweet this” call-to-action right next to it, which actually makes that message “tweetable”. Tweetable quotes is a new powerful way to attract more tweets! By using “tweetable quotes” you give your readers some extra copy to pull to their Twitter updates other than just tweeting the headline of your article. Some people will just skim through your post, because they don’t have the time to read it. But because “tweetable quotes” are styled differently from the rest of the copy, they will catch the attention of your visitors and provoke them to make a tweet! But how to create a “tweetable quote”? I see lots of bloggers using a free service called ClickToTweet to create their tweetable quotes. ClickToTweet helps you to create “tweetable quotes” (tweet this). As you can see, this kind of quote doesn’t really stand out from the rest of the article and most readers will simply ignore it. So what is the way to create “tweetable quotes” that really stand out in your article, grab attention and motivate readers to tweet? 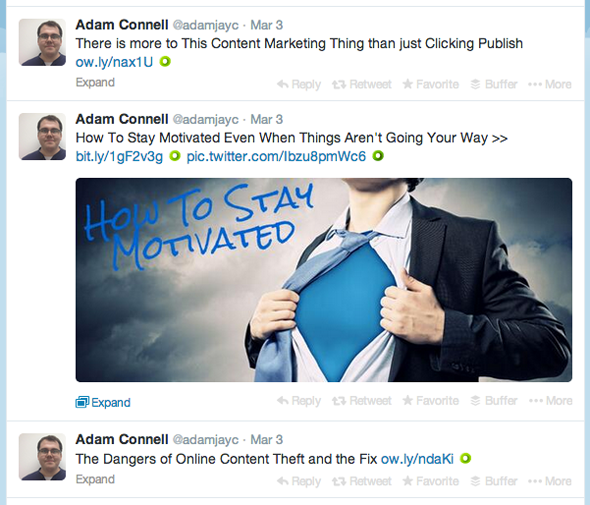 TweetDis plugin creates “tweetable quotes” that stand out in your content & bring more tweets! Now this one catches the eye! A few tweetable quotes like the one above, strategically placed within the content of your article, will noticeably increase the amount of tweets you get (and this claim was tested here on BloggerJet). If you want to learn more about TweetDis plugin for WordPress and what else it can do for you, check it’s homepage at http://www.tweetdis.com/. Disclaimer: I’m the author of this plugin. I created it because I wanted more tweets here on BloggerJet, but then I thought my readers might as well enjoy it. But of course TweetDis only does half of the job – it catches the attention of your visitors and gives them an opportunity to tweet a quote easily. The other half of the job is the quote itself. It should be really good to make people want to tweet it. And in the next section you’ll find some awesome tips on writing tweets and “tweetable quotes” that will get retweeted. How To Make People ReTweet Your Tweets? Your tweets will never go viral and yet with every retweet that you get you’re slightly extending your reach and bringing new visitors to your blog. 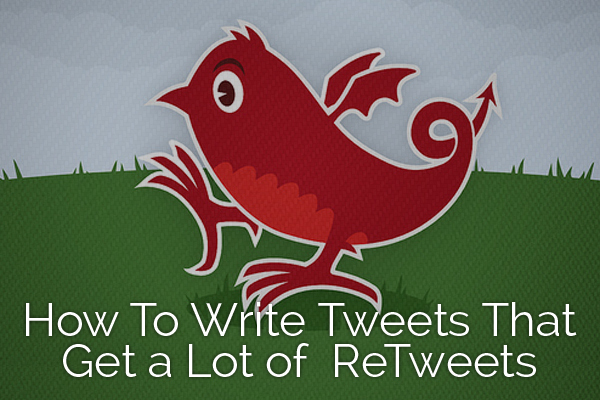 So why don’t you learn some proven tips on how to write tweets that get a lot of retweets? You can use these tips both for posting tweets on Twitter or creating “tweetable quotes” within the content of your article that your readers will tweet for you. It pretty much covers all the fundamentals, but there’s much more to it than that. Despite the fact that almost 5 years ago Twitter introduced the new way to retweet, a lot of people still prefer the old one – using “RT @author” at the beginning of their tweets. To make sure your tweet is easily retweetable both ways you just have to leave enough space to accommodate that prefix into it. Leave at least 20 free characters and you’ll be fine – people won’t have to cut your tweet if they decide to retweet it. And if you leave even more – this will allow people to include their own short comment to the retweet. A lot of people will retweet a tweet even without actually reading the article it links to. But this only happens when they trust the source that the tweet comes from. Do your twitter followers trust you? Do they respect your opinion? Make sure you attract your Twitter followers in the most natural ways and always keep them in mind when writing a new tweet. It doesn’t really matter how big the number of your followers is, what really matters is how many of them actually listen to you and care about you. 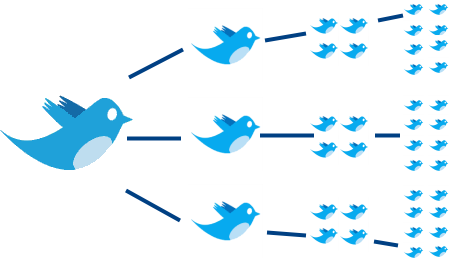 If you gained most of your Twitter following by mass following – don’t expect them to retweet what you say. People have followed you for a reason, right? They are expecting something very specific from you and if you won’t give it to them – they will start ignoring you. 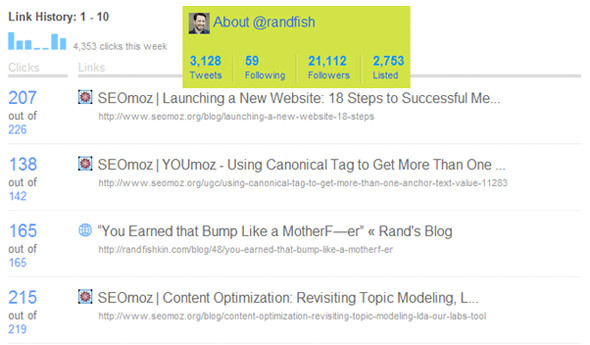 In 2010 Rand Fishkin noticed that when he tweeted things people were expecting from him, he got a higher CTR. 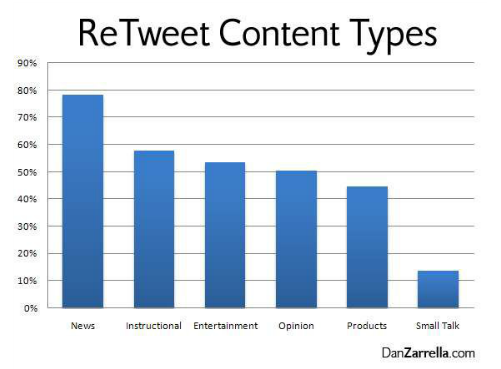 There’s no data about the retweets, but I’m sure it correlates very well. 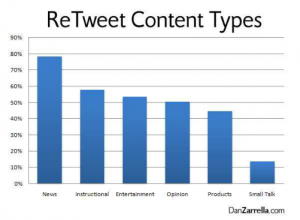 Studies suggest that broader topics account for more retweets since they appeal for larger audiences. But I guess that’s not our case. People love to tweet and retweet things that make them look good. Your Twitter account is not really you – it’s the better version of you, that you shape in a way you want others to perceive you (confused? 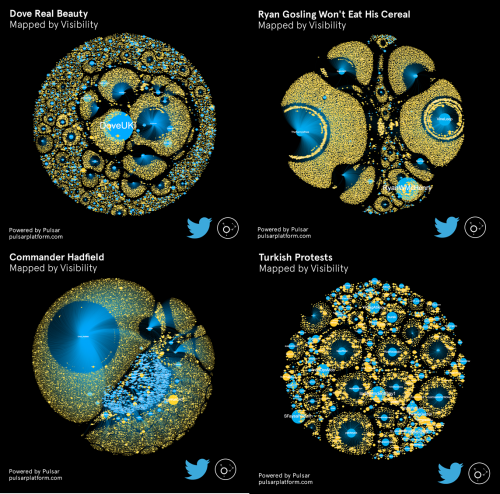 read more about it in this article: “What Do People Tweet About & The Surprising Truth About What Drives Them”). You won’t tweet anything that will discredit you in the eyes of your following. 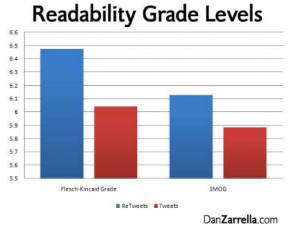 People will retweet content that is credible, intelligent and valuable, so don’t drop your readability level below the 6th grade. If you can’t be the first to cover something, at least try to make the story more interesting by adding your unique spin on it. Your opinion on the fact might mean to your followers a lot more than the actual fact. Don’t shy away from controversy as it’s a super effective way to get retweeted. Comment on a hashtag or popular news story with your own opinion and see where it takes you. Controversy works so well because people love to agree or disagree with opinions of others and show that publicly. People love spreading positive emotions. If you have something funny to say or you can comment in a humorous way on something that’s trending – you may win a few retweets. 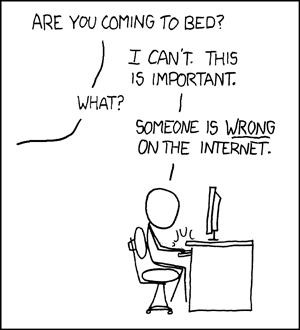 This works especially well when Twitter feeds of your followers are overwhelmed with boring business stuff. Your tweet will stand out and motivate people to spread good emotions further. Are you aware of the main principle that makes a good joke? It is an unexpected ending. If people know how the joke will end before it’s finished – they won’t laugh. You may also try to play with rhymes, as rhymes can make you a nice unexpected ending. So simple, yet so powerful. There are a lot of friendly people online and if you ask them for a small favour – they won’t turn it down. 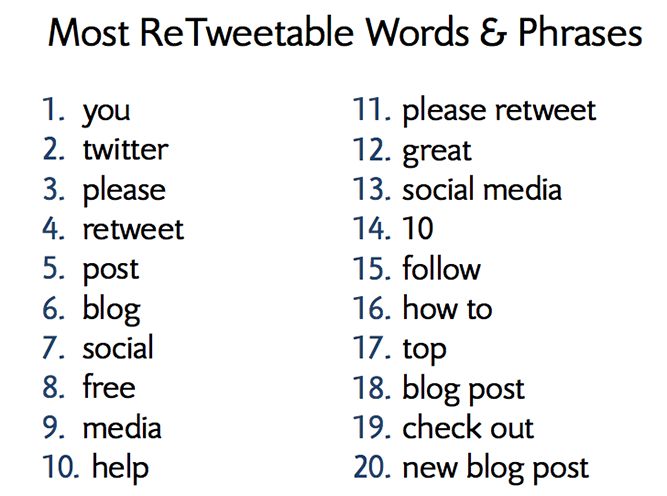 According to HubSpot’s “Science of Social Media” research, a phrase “Please ReTweet” within your tweet will get you 4x more retweets. If you want people to retweet your message, you should at least make sure they will see it. So you have to tweet things at times when most of your followers are active. Statistics say that 48% of Twitter users are based in Eastern Standard Time and 6% of all re-tweets happen during 5PM EST . But you shouldn’t bother about timing of your tweets. Let BufferApp do the job for you. Extra tip: tweet the same message a few times throughout the day and again a few times throughout the week. Don’t be afraid to repeat yourself as you’re going to reach a larger number of your followers with this tactic. This feature was released by Twitter just recently and some guys already managed to wrap their marketing heads around it. How do you leverage that? Many bloggers design neat “post covers” for their articles. Just take a relevant image, write the title of your article on it and you’re all set (go back and look at the “cover image” of this article). And besides, if you start adding “cover images” to your articles – people will gladly pin them to Pinterest. 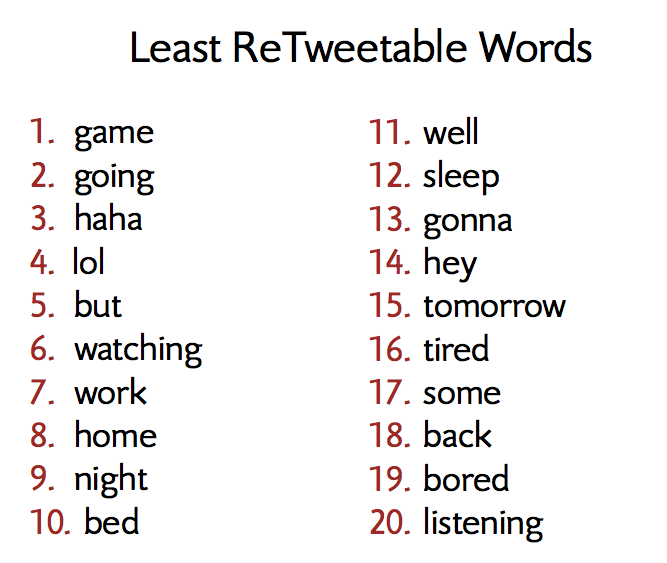 To end my list of tips I want to present you a selection of most and least retweetable words. Try to use more of what works and avoid what doesn’t. As you can see, the majority of the most retweetable words are centered around content that adds value: free, how to, top, great, help, etc. And the least retweetable ones contain what you classify as the mundane part of your day. No one is interested in things like that. 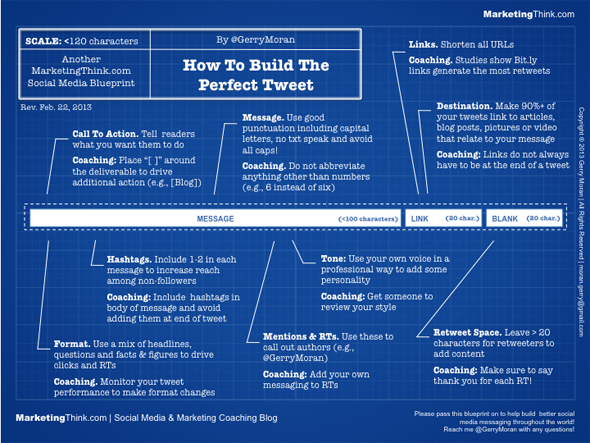 So that was a 3000+ words guide to writing tweets that will get you a lot of retweets. What are the action steps you’ve taken from it? What are the tips that you can start leveraging right away to ge more traffic from Twitter? And maybe I’ve missed something? I’m not perfect. So tell me your unique ways to get more retweets. 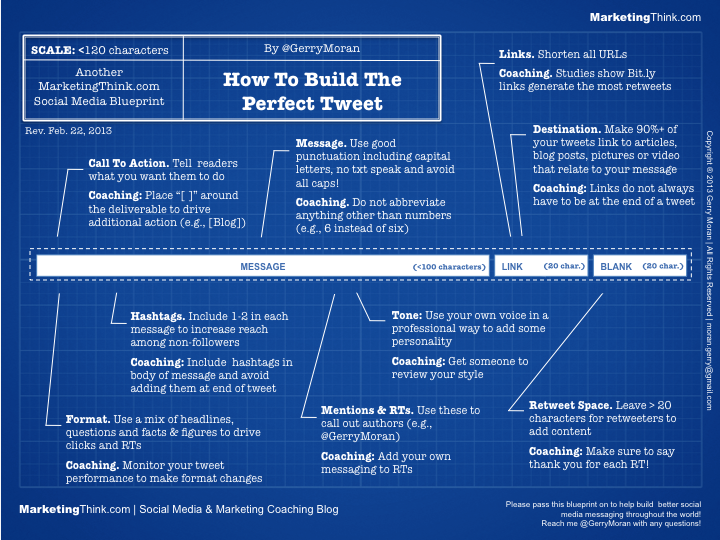 Very informative post with full expanded examples of the various points, especially tweetable links. Hey Clive! It took me ages to write this article ;) Glad you like it! Just wanted you to know I sent you a quick message re Tweetdis and would love you to respond. Bought the version on Code Canyon and it doesn’t have the Box Layout option. Anyway, great post. Will be using it and a lot of your advice on the blog to launch a new site project. I thought I installed the wrong version there for a minute. Great stuff, will look out for the email. WOW. I think I was led to follow you on Twitter when I took Jon Morrow’s course. AWESOME stuff. Super. I will be using many of these ideas. Thank you. great post ….I want to ask is it appropriate to buy more followers ? I would advise against buying followers. They may increase your social proof by displaying the fact you have lots of followers but they probably won’t be interesting in what you have to say. If you want 10’000 followers just for kudos, go for it. If you want to reach people and get your name out there, focus on getting organic and valuable followers. Nice article Tim! Another that I read all the way through. This has actually inspired me to stop the auto tweet from Facebook and actually craft my own tweets. I’ve started creating images with titles on them so hopefully that will increase engagement. If you don’t ask, you don’t get so there’s no harm in asking for retweets! 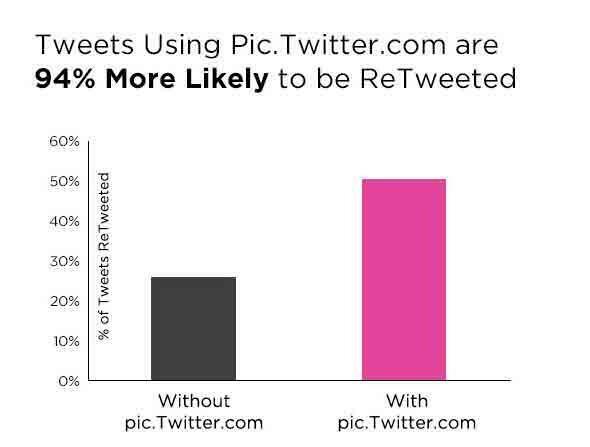 Less than 1% of your Twitter followers will click the links that you tweet.. I have 2500 followers and I only get 1-5 clicks on the links that I tweet.. Which means if I grow my profile to 25.000, I will get 10-50 clicks.. I think it’s totally not worthy investment of my time. having 10-50 RAVING FANS, who are religiously following you helps A LOT! this helps in many ways.. and I’m going to do an article about it soon..
but I was recently asking for upvotes on Twitter, to move my Inbound.org submission to the front page.. and that’s when I thought that I need just a few more “raving fans”, who would gladly help me out with such small requests and help me move forward!